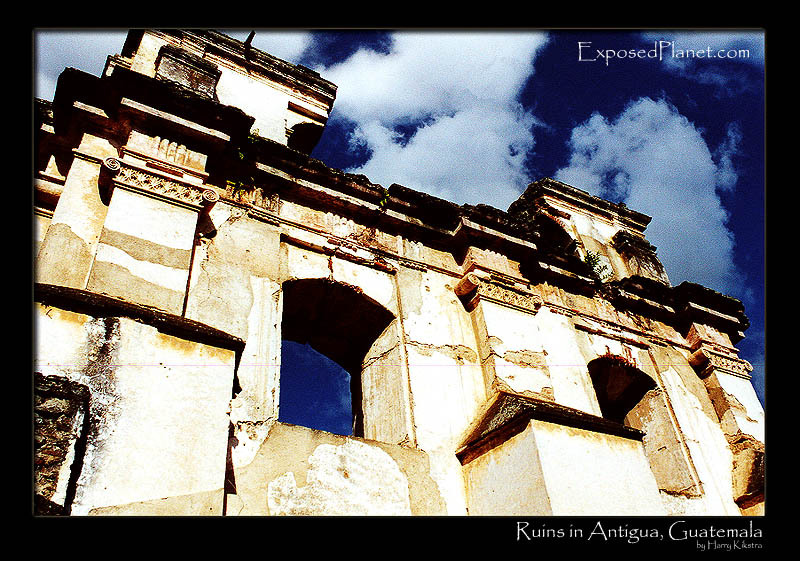 The story behind "Ruins in Antigua, Guatemala"
Antigua had been the capital of Guatemala – at that point much larger than now – for more than 200 years, when another earthquake struck that took down most of the city. The beauty of the volcanoes surrounding the city is hiding the fact that the country and in fact most of central America is a seismic danger zone. Still the city of Antigua is beautiful and worth a visit, for example affordable Spanish lessons are given there. Shot with Canon eos 500n in July 2000 on colourfilm, scanned later from a print. I will be away for a few days, new images after the weekend!